Disruption to rail services between central London and Heathrow airport could now continue into next week, following a technical issue which caused Express trains to be taken out of service. Earlier this week the Heathrow Connect service was suspended after discovery of structural defects on the underside of the trains’ carriage. Heathrow Express said these changes will remain in place until at least March 6. This means the direct link between the airport and London Paddington will have no business class service, wifi or seat power sockets. The Heathrow Express service will continue to operate every 15 minutes, and anyone holding pre-bought Heathrow Connect tickets will be eligible to use the service. 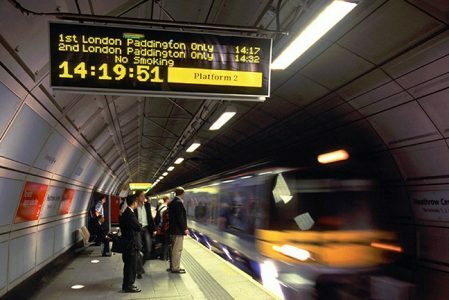 Heathrow Express has cut its single fare from London Paddington to Heathrow from £22 to £17 to help compensate travelers who would otherwise have taken the cheaper Connect service, which costs £10.20. (Buying Business Travel).